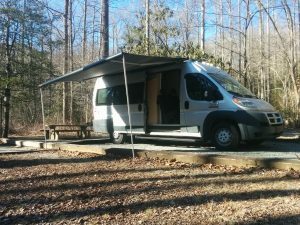 Our 2015 Ram Promaster Camper van rental, out for a winter weekend. The SUMPVee V 5.18 seats and sleeps four. Planning a trip to mt bike Pisgah National Forest. Hell yeah! The Pisgah National Forest is one of the #1 places to mt bike near Asheville NC. In fact, Asheville is centrally located to all three districts of the forest and a perfect place for home base. Of course, it really depends on which part of the Pisgah National Forest you want to visit. If you aren’t aware, the forest is large. Massive. It’s filled with trails but they aren’t always close together which is why careful planning is a good idea before you come mt bike Pisgah National Forest. 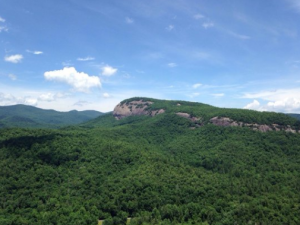 Pisgah Forest encompasses more than 512,750 acres, 2075 square kilometers or 801 square miles. 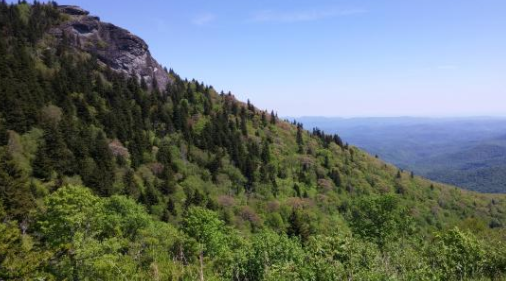 It spans the mountains of southern Appalachia within NC from Brevard west to the border of Tennessee, north through the region around Asheville to Marshall and Hot Springs, and east to areas around Linville and south of Grandfather Mountain. It includes natural wonders like Linville Gorge, Wilson Creek, Craggy Gardens, Big Ivy the Toe River and more. When it comes to trails there are thousands of miles, and many are mountain bike friendly. For the bikers areas like Wilson Creek, Bent Creek, Mills River and Davidson River will be of note. These areas are filled with bike trails but by no means the only ones with bike friendly trails. In terms of size each has plenty of trails to keep the most active biker busy for days. In terms of location these areas are spread throughout the greater Pisgah Forest and up to 2 hours apart, even by car. One method of getting around this issue to camp out. Camping in the forest is easy with many choices available at or near most of the favored trail systems. Primitive Camping – Also called Dispersed Camping, is allowed throughout most areas of the forest. 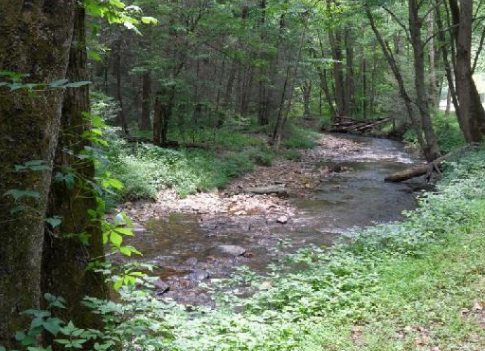 The primary rule is that you must be 1 mile away from a developed recreation area, out of sight of the road and at least 100 ft from any water source. Primitive campers will enjoy no amenities other than what they pack in with them. Car Camping – Car camping is allowed along many of the roads accessing the forest and if free. Sites are first come/first serve and are marked with a sign showing a tent. In most cases roads where car camping is allowed are clearly marked. Camp sights are generally level, and include parking areas but other amenities are not provided. Campground/RV – There are many camp grounds operated by the National Forest including one in Mills River and one in Bent Creek. They service all types of campers and feature all the amenities you would expect including showers/plumbing, water, picnic tables and power. The only way, I should say the best way, to visit and enjoy as many of the trails as possible is with a campervan. If you already have a camper van, RV or camping equipped vehicle you’re all set. If not you can always look into a camper van rental. A campervan rental has all the amenities of a hotel room, often more, and comes at a comparable cost. The difference is that you can park your van at the base of the trail and move it with you to the next. A true camper van is a fully functional and self contained living space including water, kitchen and electric amenities. 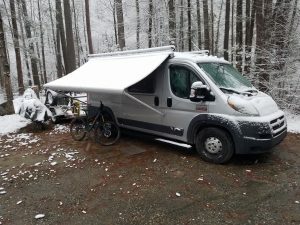 Vans from 828Campervanrental.com include bike racks and towing systems with bikes and trailers available at extra cost. 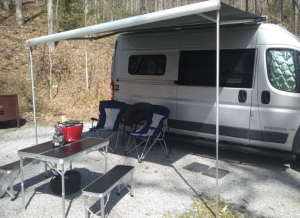 Using a campervan for your Pisgah Forest bike trip means waking up deep in the forest, surrounded by mother nature, with the trail head right out your back door. After you’ve had your fill of Davidson you can move on to Bent Creek or Wilson Creek without the worry, hassle or loss of time associated with going back to a hotel room and then driving back and forth across Western NC. The best part is, if you want to come into town to enjoy a night out you can, and you will be guaranteed a room wherever you go. SUMPVee V4.18 – Sleeps 6!